Historically the Corolla has been one of the most sought after used cars thanks to its reputation for reliability. 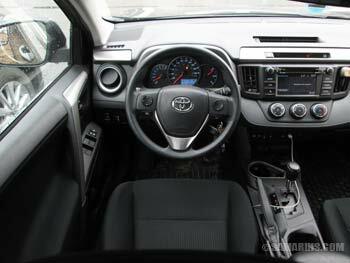 Corolla owners also appreciate a comfortable interior and soft ride. For the 2014 model year, the redesigned Corolla received an optional continuously variable transmission or CVT that improved the gas mileage. A conventional 4-speed automatic was still available in the rare CE trim level in 2014-2016 models. 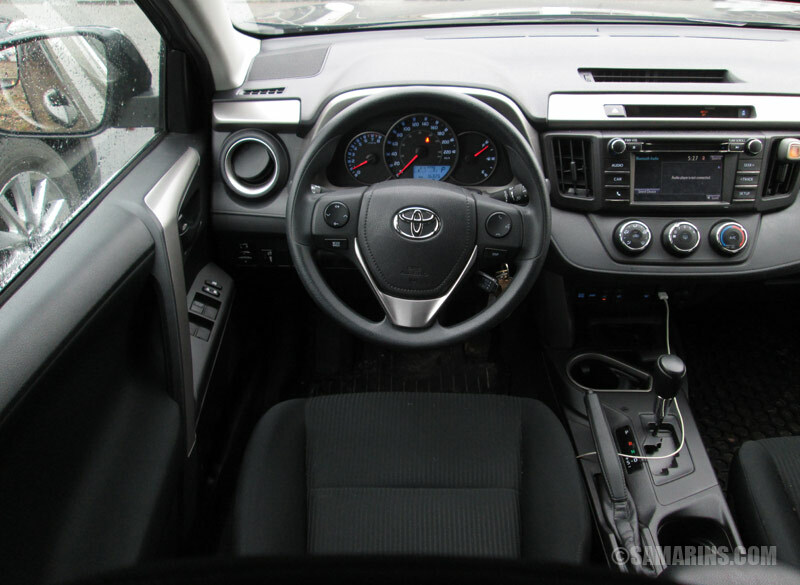 The Corolla LE with the CVT transmission is the most popular trim level. 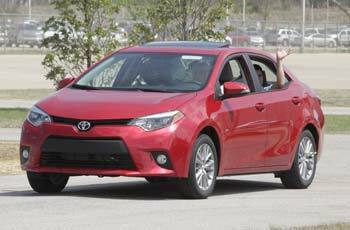 Fuel economy: The Corolla LE Eco is listed at 30/40 MPG, but this trim level is rare to find. The EPA rates the 2014-2015 Corolla with a CVT transmission at 29-37 MPG. The 2016-2018 Corolla with a CVT gets 28/36 MPG city/highway (8.4/6.5 Liters/100 km) on regular gasoline. This means that on a long highway trip, the automatic Corolla can go for up to 449 miles (723 km) on one tank of gas. The gas mileage for the 2014-2016 Corolla with a manual transmission is also rated at 28/36 MPG. The fuel tank capacity for the 2018 Corolla is listed at 13.2 US gallons or 50 liters. Engine: The 2014-2018 Corolla comes with the 132-hp 1.8L 4-cylinder 2ZR-FE double-overhead cam engine. It's a simple low-maintenance naturally aspirated (non-turbo) engine with a conventional fuel injection. 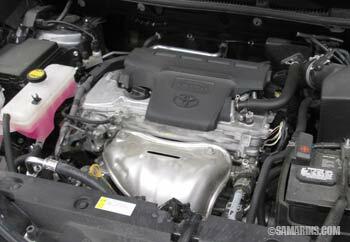 Toyota uses this engine since about 2007 and it's known to last for over 200K miles, provided good care. Spark plugs need to be replaced at 120,000 miles ($170-$220 in a repair shop). An engine air filter need to be changed every 30,000 miles or earlier if dirty ($25-$45). A drive (serpentine) belt need to be inspected regularly after 60,000 miles and replaced if cracked or damaged ($85-$140). Read more about a serpentine belt. The Corolla LE Eco is equipped with the 140-hp 2ZR-FAE engine that has a continuously variable valve lift system called Valvematic installed on intake valves. It controls how much the intake valves open depending on load, rpm and other factors. Timing belt or timing chain? Both the 2ZR-FE and 2ZR-FAE engines come with a timing chain, there is no timing belt. A timing chain only needs to be replaced if it's stretched or worn out. If oil changes are done regularly and the engine always has the proper level of oil, a timing chain can last for the lifetime of the vehicle. Read how to maintain an engine. Engine oil capacity: The oil capacity for the 2ZR-FE and 2ZR-FAE engines (Drain and refill with filter) is 4.4 US qt. or 4.2 liters according to the owner's manual. The recommended oil grade is SAE 0W-20. Read also: Illustrated maintenance checklist. Continuously variable transmission or CVT: The 2014 Corolla is the first Toyota in North America to use a mechanical belt-driven CVT. The electric CVT used in Prius and other hybrids is a completely different design. Nissan, Subaru and other manufacturers also equip their cars with mechanical CVTs, but Toyota uses a different supplier for their CVTs: Aisin AW. Only time will tell how well it will hold up, but so far the number of complaints is small. Toyota announced the Special Service Campaign J0D to address some issues with a CVT transmission. At the time we worked on this article, the CVT repair was not available. Read also: pros and cons of the CVT transmission. Does the CVT transmission need fluid change? We checked the maintenance schedule in the Warranty and Maintenance Guide for the 2018 Corolla that you can find at US Toyota Owners portal under 'Resources'. It recommends changing the CVT fluid every 60,000 miles if the vehicle is operated in Special Operating conditions that include 'Extensive idling and/or low speed driving for a long distance such as police, taxi or door-to-door delivery use'. This basically refers to conditions that can cause the CVT fluid to overheat, so if you think that your CVT transmission has been working too hard, your dealer can change the CVT fluid. Reported problems: The code P0171 can be caused by a dirty or bad mass airflow sensor or vacuum leaks. The Toyota service bulletin T-SB-0011-14 describes a problem in the 2014 Corolla with the 2ZR-FAE (Valvematic) engine that can cause the Check Engine light to come on. Toyota recommends reprogramming the PCM as the solution. A bad front strut mount can cause an intermittent clunking/clicking noise coming from the front end. The part costs $30-$40 for the aftermarket part, $75-$85 for the OEM, plus $120-$190 labor for one side. The bulletin T-SB-0086-16 explains an issue in the 2014-2016 Corolla where the fuel tank filler neck that is out of position might cause the gas cap not close properly. As a result the Check Engine light might come on with the codes P0455 or P0456. The repair procedure is simple: to reposition the fuel tank filler neck. A noisy water pump might need to be replaced ($290-$480). It's not a very difficult job. If you have a smart key and the battery fails in the key fob, you might need to to hold the fob close to the start button to start the vehicle. A battery in the fob lasts around 3 years. It's easy to replace. A failed starter motor may cause the car not to start. When turning the key, the vehicle would click but won't turn over. When this happens, the battery needs to be tested too. Replacing a starter motor costs $380-$510. There are a few complains on Toyota forums about some areas of the infotainment screen not being responsive. It looks like an isolated issue, but if out of warranty, replacing the screen is expensive. When buying a used car, it's good idea to test if all the function of the screen working consistently. For the phone pairing and other questions related to the infotainment system, check the Toyota Entune support website. Overall: The Corolla is still one of the most reliable compact cars. At the time we worked on this article, Consumer Reports rated the Corolla as 'Recommended'. The number of complaints on the NHTSA website is relatively low too. Will the CVT transmission be good in a long run? It's too early to judge, but we will update as more information will be available. It's a fairly new thing for Toyota. Some owners also didn't like the CVT driving experience, specifically lack of power and a louder engine noise. Among competitors, Mazda 3, Chevrolet Cruze, Hyundai Elantra, Kia Forte and Ford Focus still offer a 6-speed automatic transmission.